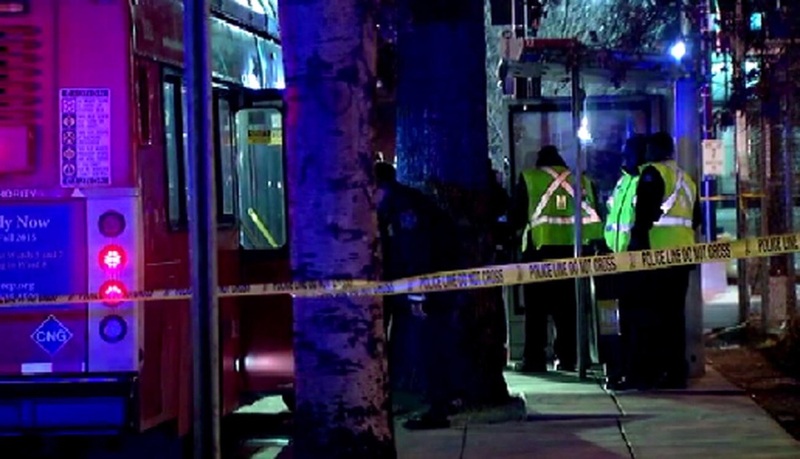 Metro officials say the suspect responsible for shooting two people on a bus Monday night may have shed his clothes while fleeing from the scene. The shooting was reported aboard an X-2 bus New Jersey Avenue and H Street NW around 10:30 p.m. According to Dan Stessel with WMATA, three men boarded the bus at Gallery Place, and rode about seven blocks before getting into a verbal altercation. One of the three pulled out a gun and shot the other two men, hitting one in the hand and the other in the thigh. Both have been hospitalized, but are expected to be OK. There were about 40 or 45 people on the bus at the time of the shooting, Stessel said. Stessel said it appears as though the suspect shed his hat and jacket while fleeing the scene, so the lookout remains for a black man with a slim build, 5 feet 10 inches tall.